Knowing four key health numbers can help patients understand and reduce their risk. These numbers are: blood pressure, cholesterol, blood sugar and weight. Your pharmacy can provide multiple ways to help patients know their numbers. Heart disease is the leading cause of death in America. It is responsible for 1 in 4 deaths.1 But there are steps patients can take to reduce their risk. By knowing these numbers you can help patients decrease their risks and improve their health. Providing on-site screenings. You can easily help check patients’ blood pressure. And with a CLIA (Clinical Laboratory Improvement Amendments) waiver, you can conduct glucose and cholesterol screenings right in the pharmacy. Or you can partner with a provider for patients to sign up for lab work. While you may check blood pressure for free, you can charge patients directly or bill insurance for some tests. Set screening hours each week when patients can drop in for screenings. Offer tests by appointment and encourage patients to sign up. Have signs, flyers and postcards, and have staff mention the tests during conversations. Showing patients how. 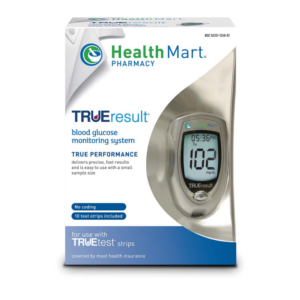 Promote at-home testing with scales and monitors. When a patient buys a blood pressure cuff or a glucose monitor, take time to explain proper use. Post videos online for reference. Develop strong relationships with providers. With a patient’s permission you can share their latest numbers with their doctor. That way everyone on the healthcare team is working together to focus patients on their numbers and how to improve them. Identifying patients’ numbers is only the first step. Use those screenings to spark conversations about what each number means. Speak with patients about what they can do and how your pharmacy and other providers can help. Offer patients ways to track their own numbers. For example, create a blood pressure log with your pharmacy logo, like the American Heart Association offers. Invite a tech-savvy guest speaker to discuss the latest health tracking apps with your patients. Add a calculator to your website. The Centers for Disease Control and Prevention even offers widgets you can add to your site for people to calculate BMI. Target specific concerns with special classes. For example, bring in experts and offer wellness classes for patients with high blood pressure and high cholesterol. Talk regularly with patients about their numbers. Recheck these numbers after patients have had time for interventions to take effect. Helping patients know and understand their four key numbers empowers them to take greater control of their health.